How Was It to Shop in Market Towns and Villages of Early 1800s England? Also, men would travel mending tin pots, sharpening knives, acting as at catchers, rag and bone men, sellers of chapbooks and cheap repository tracts, etc. Let us take a quick look at several of these types. Rag-and-bone men collected unwanted household items and resold them to merchants. The traditional rag-and-bone man carried a bag over his shoulder and made his way about on foot. Occasionally a wealthier rag-and-bone man would have a cart pulled by a small pony or donkey, however these were few. Most of these men lived in extreme poverty. They collected old rags, bones, and bits of metal. Market towns had a special status, but were not cities. They were generally larger than the surrounding villages, and shopping did not come from street vendors, except on market day. One would likely find a blacksmith, dressmaker, sundry’s store, a small circulating library, a couple of inns, possibly, a shop that sold meat pies, a hat maker, etc. An established church was likely. Physicians, surgeons, lawyers were some of the professionals found in the market towns. “Market town or market right is a legal term, Markoriginating in the medieval period, for a European settlement that has the right to host markets, distinguishing it from a village and city. Farmers and their wives brought their produce to informal markets held on the grounds of their church after worship. Market towns grew up at centres of local activity and were an important feature of rural life. Markets were located where transport was easiest, such as at a crossroads or close to a river ford. 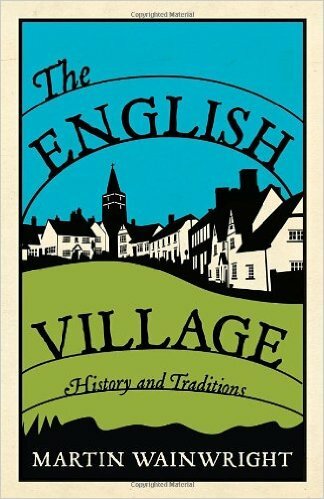 A book I would recommend is THE ENGLISH VILLAGE, which was a study of a large cross section of little villages and the kinds of things they have in common. Here is the book blurb from Amazon: The village remains a quintessential and much-loved treasure of the English countryside. This rural idyll has inspired generations of great poets, novelists, and artists including the likes of Constable, Hardy, Wordsworth, as well as providing the picturesque setting for modern TV series such as Lark Rise to Candleford and Cranford. 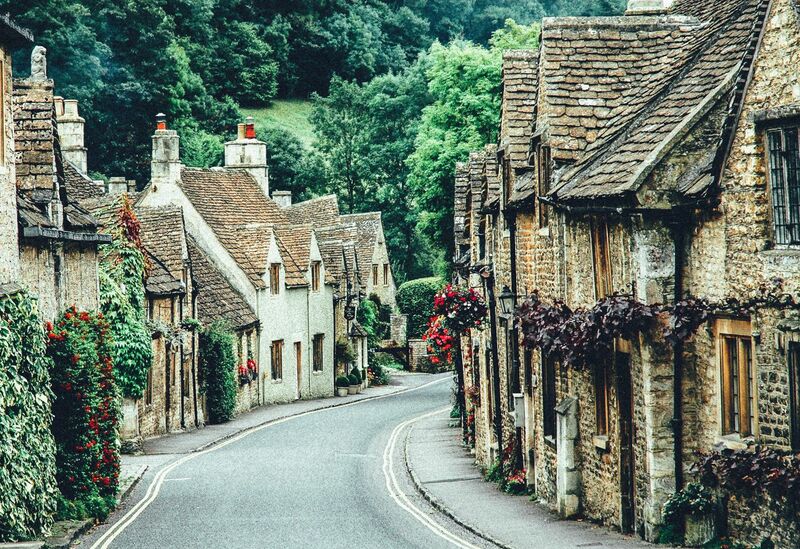 The English Village celebrates all that is unique and loved about a typical village—the pub, the green, the school, the church, the pond, the local shop and more—as well as exploring how the village has changed over the centuries. Also includes fascinating information on the origins of village names—Siddington, for example, means the farm of the valley (sidd: valley, in: belonging to, ton: farmland). Beautifully illustrated, and filled with facts, figures, customs, and lore, there is a wealth of fascinating information to be discovered in this charming book. Actually, each village seems to have its own odd little eccentric thing about it, some quirky little detail like a local product or a haunted tale about the village green or what-have-you. Depending on the region, they could also have different things, like in the Midlands, pottery related shops, or in the North, woollens-related businesses, and along the coast, shipbuilding or timber processing and/or lots of extra pubs for all those sailors, as well as inns for travelers. Each village was constructed around a church, a rectory or parsonage for the minister to live in, a pub, a hall, a general store with post office, maybe a doctor’s home office, possibly a school or a building or home that serves as a dame school, a green with a few trees and/or a pond. Country villages are obviously very agricultural so one should not neglect the possibility of related businesses like blacksmiths, smokehouse, bakers. Maybe even a mill or a nearby river or canal. This entry was posted in British history, Great Britain, Jane Austen, Living in the Regency, real life tales, Regency era, Uncategorized, Victorian era and tagged Emma, hawkers, Highbury, Hunsford, Jane Austen, Lambton, market towns, Meryton, mongers, peddlers, pedlars, Pride and Prejudice, shopping, towns, travelers, villages. Bookmark the permalink. 7 Responses to How Was It to Shop in Market Towns and Villages of Early 1800s England? Regina, I remember rag and bone men coming round in the 1950s and early 1960s. In the 1950s, they had horse drawn wagons and then flat back lorries in the 1960s. We had a copy of The English Village but regrettably it went in one of the regular slimming down of our books. The English Village is available on Amazon ($16) and Kindle ($10), Carol. I bought a copy recently. I will have to check on Amazon.co.uk. We still had horse drawn rag and bone men in the seventies. Very Steptoe and Son. I was born in the late 40s, but I have no memory of such men in the U.S. during my childhood. I have vivid memories of door-to-door salesmen for such products as Watkins tonics, nothing like those of you in the UK knew. Perhaps there were more such peddlers in the country. I lived in a small town.